How to revert to perspective transform? I have a grouped shape (rectangular + some texts). I used the Perspective tool to make it align with the single-point perspective. But now I want to revert it back to a normal rectangle shape without perspective. But I could not do this by right click →  transform → reset bounding box. This is not the real answer but it's a non-destructive way to work with perspectives. 2- Play with the values until you achieve the desired perspective and hit OK.
3- Now double-click the grid to enter Isolation Mode. You will now start drawing in perspective. You may notice that you can disable the effect at any moment using the Appearance Panel. Not the answer you're looking for? 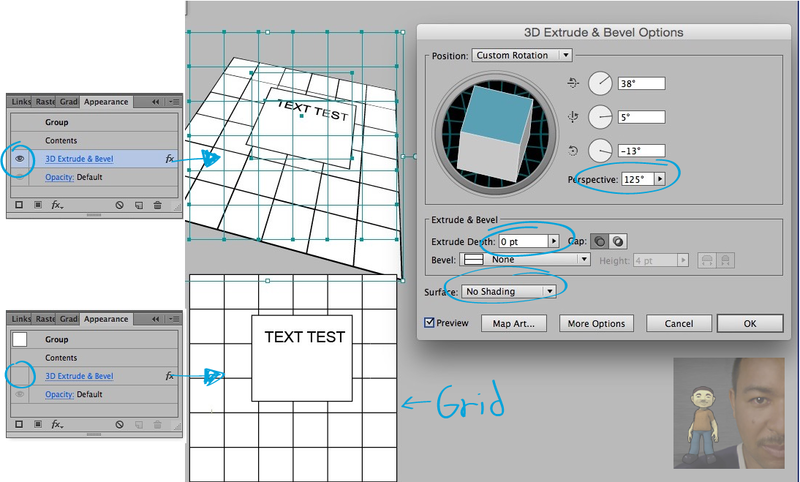 Browse other questions tagged adobe-illustrator perspective or ask your own question. How to prevent an object from changing into a text frame when I click it with the type tool? How to make the bounding box adapt to fit new parameters?